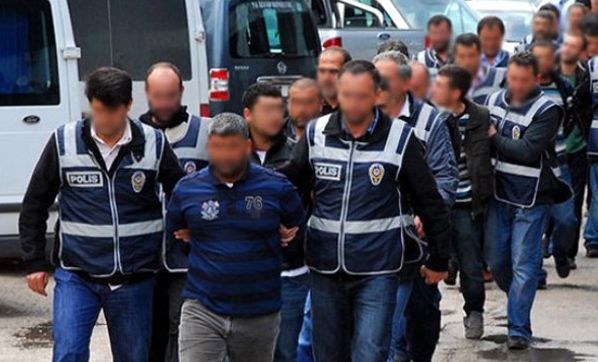 At least 40 people were detained as part of an Izmir-based investigation into the alleged followers of the Gulen movement on Nov 28. Detention warrants were issued for 71 people for their role in what the pro-government sources say “new fundraising scheme” by Gulenists. Some of the suspects are also accused of having used ByLock, a mobile app that the government claims to be the top communication tool among Gulen followers. Turkey’s regime considers the movement to be a terrorist organization and holds it responsible for a failed coup on July 15, 2016. There has been massive persecution of its real and perceived sympathizers in Turkey. The movement denies involvement in the putsch. Donations to Gulen-linked charities and ByLock are among evidence prosecutors often use to establish ties between suspects and the movement.